Super Bowl LII will bring millions of football and non-football fans together to watch the big game on the big screen. But without a cable subscription, this process can be a little daunting. Luckily, the Google Play Store and the iOS App Store offer a few ways to accomplish this — no cable contract required. Last year, 22.2 million US adults ended their cable subscriptions, using various streaming services to get their TV fix instead. In that vein, the four apps listed below will not only allow you watch the Super Bowl on almost any device, but hundreds of programs from numerous channels. Best of all, they all offer free trial periods that you can use to watch the Patriots play the Eagles without paying a dime. Since its inception last year, YouTube TV has provided one of the better offerings for cord-cutters. Not only does it include all the major channels (including NBC, which is hosting Super Bowl 52), but it also has a cloud-based DVR with unlimited storage included with its default pricing. Speaking of pricing, YouTube TV is $35 a month, but includes a seven-day free trial. Therefore, if you haven't already used the trial, you can watch Super Bowl LII for free by taking advantage of this offer. Included in this pricing is the ability to watch live television on up to three devices simultaneously, access to 50 channels, and access to YouTube Red original programming. YouTube TV is available on both iOS and Android, as well as on the web and several other smart TV platforms like Chromecast, Apple TV, Roku, and Android TV. But because of Verizon's deal with the NFL, there's a chance that you might not be able to stream the Super Bowl on your phone — if that ends up being the case, you can still cast the stream from your phone to a Chromecast or Android TV. One thing to note on YouTube TV is that Google has been slowly rolling out its availability. While most major cities have access, many smaller cities don't. Check this link to see if your market has access to YouTube TV. In addition, YouTube TV doesn't have the rights to the Super Bowl for smartphones. However, you can watch on an Android tablet, iPad, or cast it to a ChromeCast (or Google Home device). Finally, to make sure you can watch the big game in your area, use this this link to check the availability of channels within your market — you'll need a live feed of your local NBC affiliate to stream the Super Bowl. For some US markets, live TV isn't supported. Instead, those markets only have access to video-on-demand. Hulu, a staple for cord cutters, expanded their offering last year to include live television. With Hulu with Live TV, not only do subscribers gain access to live television, they also have unlimited access to the entire Hulu library with limited commercials. Hulu with Live TV offers over 50 channels. Cloud DVR functionality is also available for those who can't watch the big game live, but it's limited to 50 hours of storage (for an additional $15, you can increase your storage to 200 hours). Simultaneous streaming is limited to two devices, but can also be increased for an additional fee. Hulu with Live TV is available for $39.99 a month, but includes a seven-day free trial. So like YouTube TV, you can watch the Super Bowl for free if you haven't already used this free trial. 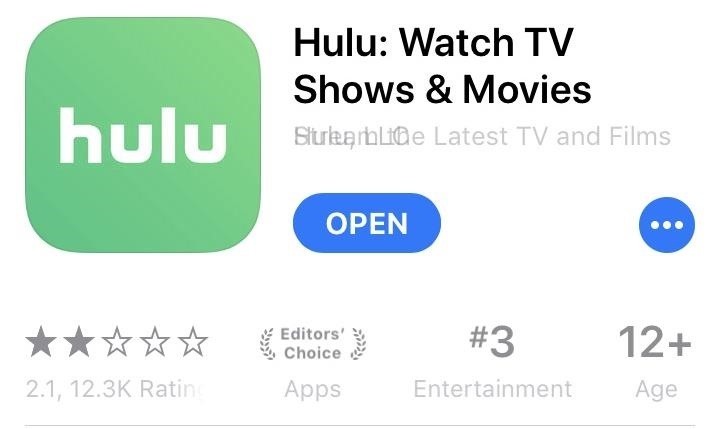 Hulu is also available on a number of devices, including Android, Apple TV, iPhone, and iPad. In addition, you can also use Chromecast to stream your content from your phone to your TV. Use this link to check channel availability in your area — remember, you'll need access to your local NBC affiliate's live feed if you want to stream the Super Bowl. Sling TV is the cheapest option for those who used up all their free trials. Starting at $20 a month, you get access to 29 channels. However, to watch the game, football fans need the "Sling Blue" plan, which starts at $25 a month. As with the other apps in this list, Sling TV offers a seven-day trial so you enjoy the Super Bowl for free. Cloud DVR functionality requires an additional payment of $5 a month. Since you need Sling Blue for the Super Bowl, you gain the ability to simultaneously stream on up to three devices. Sling supports both mobile operating systems, Apple TV, Android TV, and Chromecast. Use this link to check which channels are available in your market, and remember to look out for a live feed of NBC in the list specifically. 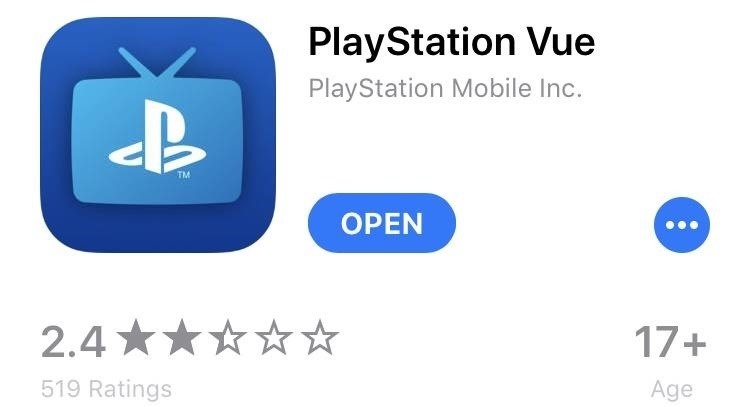 Despite its name, PlayStation Vue doesn't require Sony's gaming console — it's just another great option for mobile users wanting to watch the Super Bowl. $40 a month will provide you NBC and over 45 different live channels to enjoy (in most markets). One disappointing note about Vue is that its free trial is only five days, so manage accordingly — the last thing you want to do is start a free trial and have it end before the game starts. PlayStation Vue offers an astounding five simultaneous streams, but with some limitations. For example, mobile users are limited to only three concurrent streams. In addition, DVR functionality is limited, acting more as a saved list of on-demand titles than true DVR service. Therefore, if you opt for Vue, we would recommend to watch the game live. Use this this link to learn what channels are available in your area on PS Vue. Again, make sure to check for a live feed of your local NBC affiliate, as that's where the big game will be airing. Unlike the previously mentioned apps, Yahoo Sports isn't a live TV service. But thanks to a deal between the NFL and Yahoo, Yahoo is able to stream Super Bowl LII on all mobile networks for both iOS and Android users. Both the app and the streaming of the game is free, and it doesn't require any account sign up or other information. Especially for those who are in markets that the other options don't offer live streaming, this is your best bet. With these five options, users can watch the game from the convenience of their phones, tablets, or TV. Whether opting for the free trial or paying the monthly subscriptions, users can save a significant amount of money over a cable subscription. Which service do you plan to use to watch the game? Let us know in the comment below.